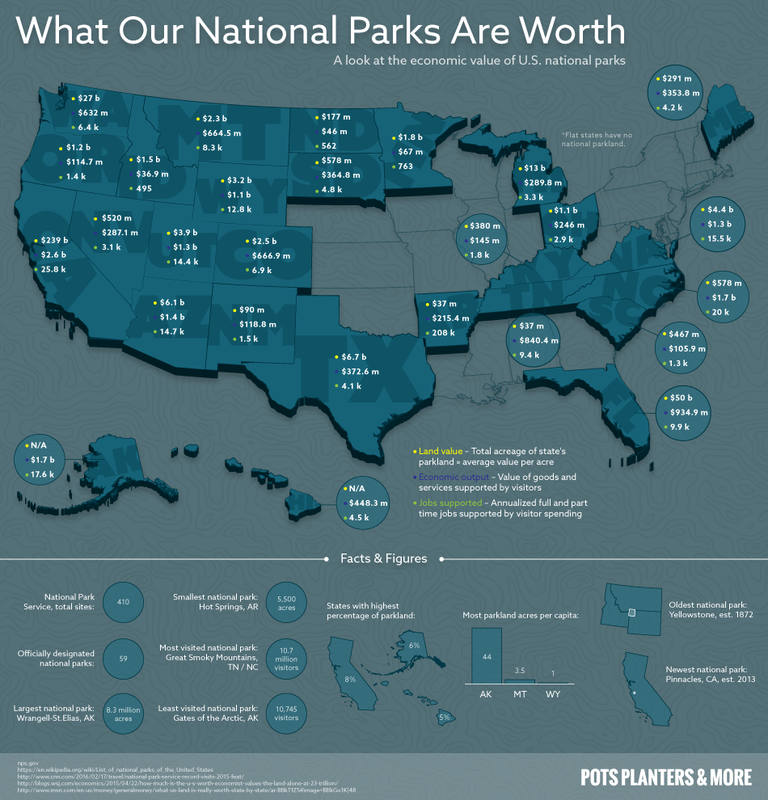 The Economic Value of the United States National Parks #infographic ~ Visualistan '+g+"
The U.S. National Park System just recently celebrated its 100 th year anniversary. The beauty and majestic sights that live inside each National Park are essentially priceless to the visitors of each park. The national parkland is federally protected meaning that it can never be sold. However there is an economic value to these parks which means they are not exactly priceless. 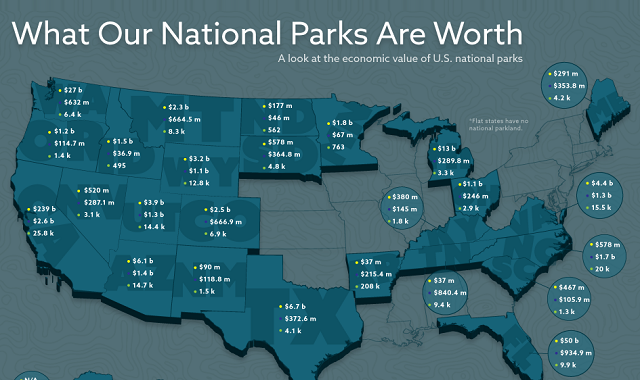 We wanted to take a look and find the economic value associated with the national parks themselves. These parks provide a large economic impact in the area’s that they operate as well as provide numerous full time and part time jobs. Pots Planters & More has put together a really cool infographic that was mean to coincide with the 100 th anniversary of the national park system. In the graphic they show the land value of each park, the economic output, as well as the jobs supported along with some fun facts about the national parks. To learn more check out the infographic.